Product #6170 | SKU GMS-274 | 0.0 (no ratings yet) Thanks for your rating! Hosa XLR Microphone On/Off Switch. 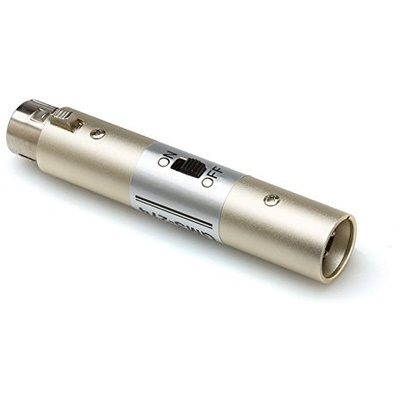 This adapter is designed to add a power switch to a dynamic microphone. It is ideal for karaoke, public speaking, and other events during which a single microphone is shared.